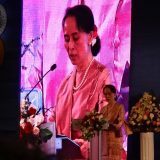 News posts tagged "About ICE WaRM"
To ensure an inclusive approach to future water resources management, traditional thinking needs to change to include women and empower their voice in decision making. The Indus River Basin is a complex and changing system, shared by Afghanistan, China, India, and Pakistan. 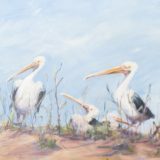 Elements of climate, population growth and political uncertainty, make decisions integral to social, economic and political systems, hard to get right. 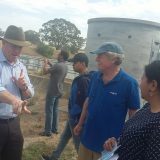 Around 60 young water leaders from around the world, between the ages of 20 and 35, gathered in the Yarra Valley, with a goal to create collaborative innovations that respond to the most pressing water challenges in Australia and the region. 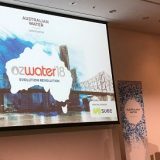 At Ozwater this year, the International Water Association (Australia) and the Australian Water Association’s SDGs Specialist Network, presented a workshop on how the Australian water sector can drive the progress of the SDGs internationally. 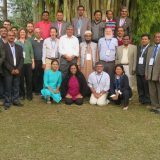 The ICIMOD-ICE WaRM Asia-Pacific Water Leadership Programme completed last week with 17 participants from countries across the Hindu Kush-Himalayan region. 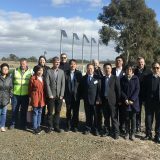 As part of the programme through the Murray-Darling Basin, delegates met with a panel of Riverland community and irrigation industry leaders and were well prepared with probing questions. 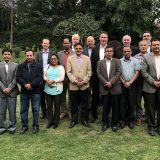 Senior and mid-level scholars and faculty members across disciplines of water studies and water resource management in the Hindu Kush Himalayan region, began a 12-day intensive Water Leadership Programme in Australia this week. 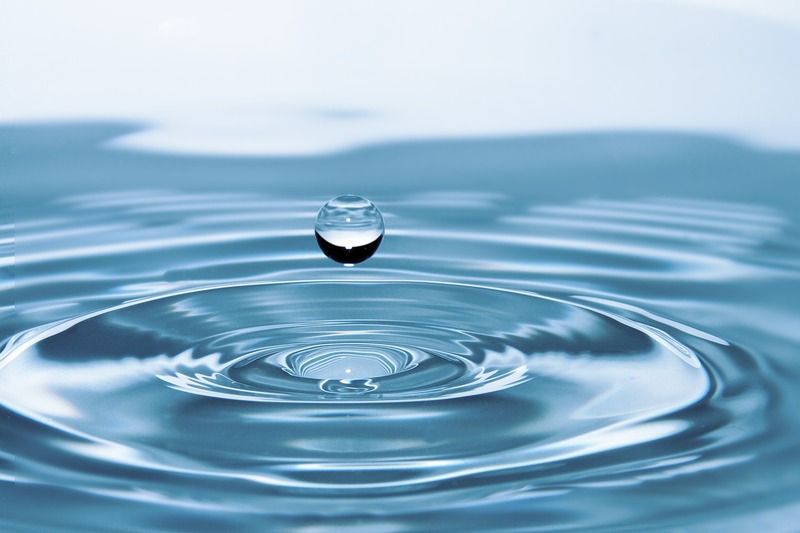 The United Nations General Assembly has proclaimed the decade, 2018-2028, as the International Decade for Action ‘Water for Sustainable Development’. Looking back on 2017, I am delighted at the quality and range of domestic and international water capacity development programmes that ICE WaRM has delivered. It is a wonderful testament to the hard work of our staff and partners who have created these opportunities for our alumni and the outcomes for the institutions we support. 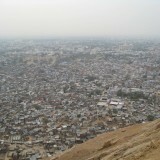 The Rajasthan Centre of Excellence in Water Resource Management (RaCE WaRM) and the Malaviya National Institute of Technology (MNIT), Jaipur, recognised the opportunity to collaborate on mutually beneficial activities as well as the promotion of academic and research cooperation and the development of the two institutions. The Indus River basin – shared by Afghanistan, China, India, and Pakistan – is home to some 300 million people, who rely on its natural resources. 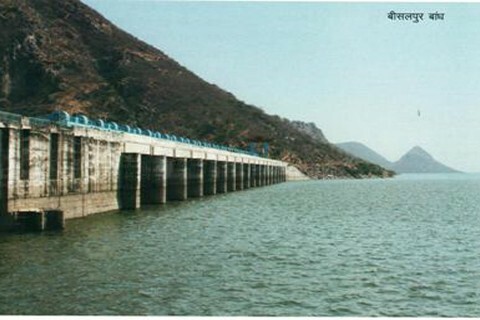 These are harnessed beyond the basin as well to benefit many more people. 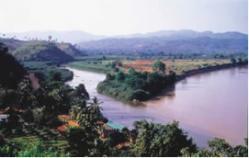 But rapid population growth and economic development are placing major stress on this unique river system. 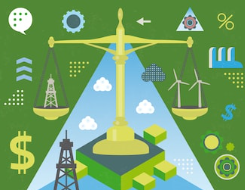 And these pressures, together with an uncertain future climate, present all current and future resource users with a forbidding mix of challenges. 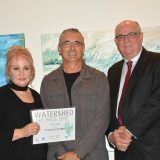 Winners and shortlisted entries for the prestigious City of Salisbury Watershed Art Prize 2017 were unveiled at John Harvey Gallery in Adelaide on Friday 28th April. ICE WaRM (the International Centre of Excellence in Water Resources Management), together with the Water Industry Alliance (WIA), held a one day workshop on establishing a Centre of Excellence of Water Resources Management in Rajasthan, India, on Thursday 16th March 2017. ICE WaRM Education Manager Dr Ian Reid was invited by Sustainable Development Investment Portfolio (SDIP) Partner, the Australian Centre for International Agricultural Research (ACIAR), to attend the mid-term review meeting of their project entitled, Sustainable & Resilient Farming Systems Intensification (SRFSI) for the Eastern Gangetic Plains. 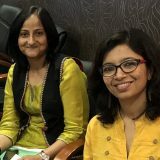 ICE WaRM is committed to the advancement of the Sustainable Development Goals, through capacity building using its interdisciplinary capability in Water Resources Management, Education and Training and International Development. The Hon Karlene Maywald, Chair of the Board, is delighted to announce that Professor Cynthia Mitchell has been appointed as a director on the Board of WaterEd Australia, trading as ICE WaRM. 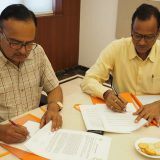 The National Centre for Groundwater Research and Training (NCGRT) and ICE WaRM (the International Centre of Excellence in Water Resources Management) are pleased to announce a strategic partnership to deliver quality, value and innovation in training, education and research in water resources. 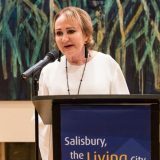 We are pleased to announce that Judith Bradsen has been appointed Deputy Chair of the ICE WaRM Board. 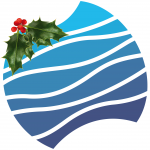 The International Centre of Excellence in Water Resources Management (ICE WaRM) will be closed from 12.30pm (ACDT) on Friday 23rd December and re-open on Tuesday 3rd January 2017. 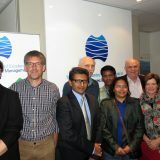 The International Centre of Excellence in Water Resources Management (ICE WaRM) will be providing a capacity-building programme for 15 mid-level managers from the Indian states of Andhra Pradesh and Telangana in Australia from 14 October 2016 to 4 November 2016, with a follow-up programme in India planned for the period 21 – 23 November 2016. 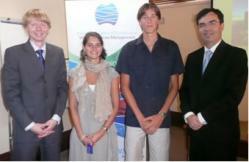 The program is an Australia Awards Fellowship funded by the Department of Foreign Affairs and Trade. The formal bid for a Future Water Cooperative Research Centre (FWCRC) was lodged today with the Department of Industry, Innovation and Science. We’re on social media – follow us! Follow ICE WaRM on social media to keep up-to-date with our latest news and events, research highlights and benefit from a range of useful resources. 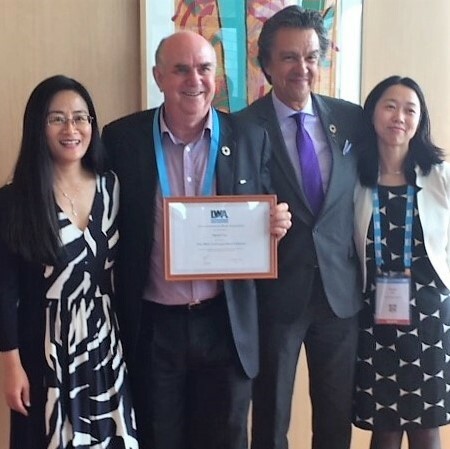 The International Centre of Excellence in Water Resources Management (ICE WaRM) has partnered together with Goyder Institute, Water Industry Alliance (WIA) and Department of Environment, Water and Natural Resources (DEWNR) for the IWA World Water Congress & Exhibition 2016. Highly-regarded water administrator Darryl Day has been appointed Interim Managing Director of ICE WaRM. Mr Day has more than 30 years experience in the water and energy sectors including roles as executive director with the Northern Territory Government’s departments of Minister and Energy and Land Resource Management and General Manager with the Power and Water Corporation. Australia is honoured to host the 2016 International Water Association (IWA) World Water Congress and Exhibition in Brisbane Australia, from the 9th to 13th October 2016. 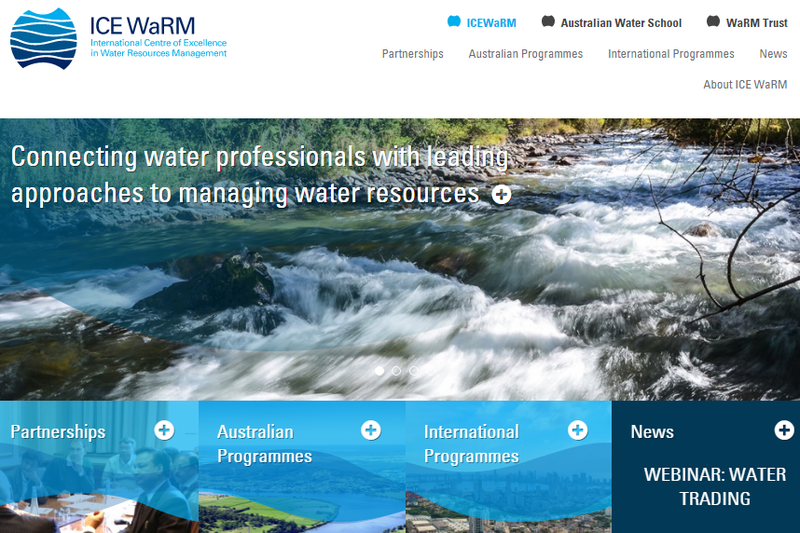 ICE WaRM has launched a new web presence, streamlining the delivery of the latest information about the water resources management sector. 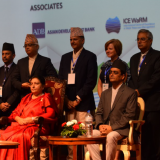 Sister States South Australia and Rajasthan signed an agreement in India that will see the establishment of a new water centre of excellence in Jaipur. The Centre of Excellence in Water and Resource Management Memorandum of Understanding (MoU) is the next step towards India having a nationally and internationally recognised centre for leadership and innovation in water resource management, education, training and research. The agreement will enhance the already strong relationship with the International Centre of Excellence in Water Resources Management (ICE WaRM), and exchanges of knowledge and technology will assist Rajasthan manage its own and other water resources across India. 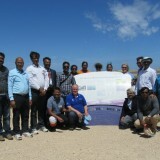 A high-level delegation from Bangladesh has spent two weeks studying water planning, management and governance in south east Australia. 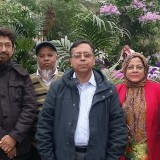 The nine-person group, representing Bangladesh’s Ministry of Water Resources and Water Resources Planning Organization (WARPO), took part in the ICE WaRM-hosted study tour under the Australian Department of Foreign Affairs and Trade’s Sustainable Development Investment Portfolio initiative. This group included the Director General, Director (Planning) and Principal Scientists. 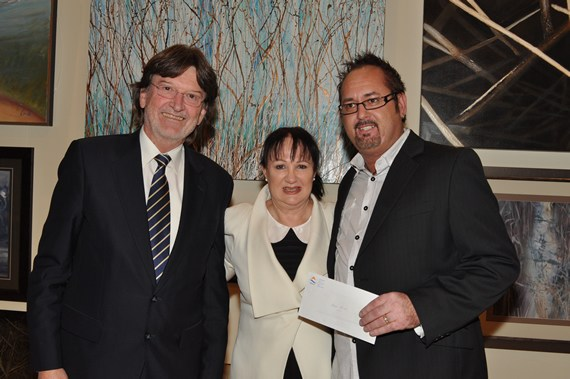 Former South Australian State Government Minister, Karlene Maywald, has been elected as Chair of ICE WaRM. Ms Maywald took up the position after the retirement of her long-serving predecessor Mike Terlet. ICE WaRM Masters in Water Resources Management Graduate, Oscar Santiago, recently concluded the testing stage for his pilot coal seam gas (CSG) plant at Moura. 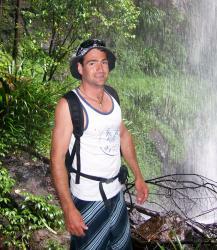 Following on from the Masters Progamme, Oscar is now continuing his studies as a PhD student atCQUniversity. Oscar’s research at the pilot plant focuses on CSG ‘associated water’ and its sustainabe treatment, which will be vital to the industry’s future. Prof Kerry Walsh and Prof Ted Gardner at the CSG pilot plant. Congratulations to ICE WaRM’s CEO, Richard Hopkins, on winning the Chairman’s Award at the Water Industry Alliance, Smart Water Awards. 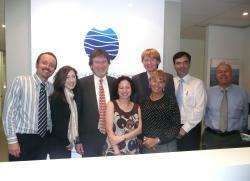 ICE WaRM’s Resident Adviser in Indonesia, Risyana Sukarma, is visiting the Centre this month. activities for his Adelaide visit. The ICE WaRM-supported European-Australian Scholarship programme is drawing to a close after being extended to three years from the originally-planned two. The final exchange students from the partner universities – the Technical Universities of Delft in Holland and Dresden in Germany and the University of Dundee in Scotland – will complete their studies in Australia at the end of the university year. The second Nepalese student to win an ICE WaRM international scholarship has started studying in Australia. The number of students enrolling for ICE WaRM’s award-winning nested Master of Water Resources programme has nearly doubled in three years. In particular, there’s been rapid growth in Australian-based professionals from the water and related industries who have signed up for the 2012 academic year. 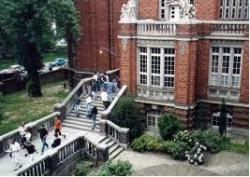 Many are from regional and rural areas and have opted to study their courses remotely. 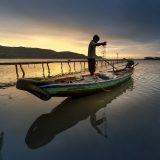 ICE WaRM’s leading advisors in South East Asia have played important roles in the Professional Development Programme (PDP) for representatives of the six nations along the course of the Mekong River. 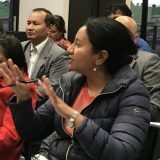 Regional Advisor for the Mekong Region, Dr Le Van Minh, and the Regional Advisor for Indonesia, Risyana Sukarma, were in Adelaide in early March to contribute specific case study material from the region and facilitate a series of visits and meetings. 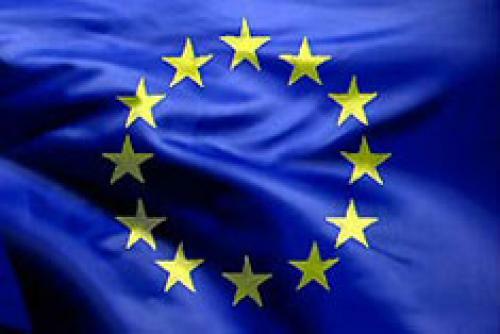 Leaders of the Australia-European Union SWaRM exchange programme are looking to build on the early success of the scheme. In particular, the programme has established closer relationships between the tertiary institutional, graduates and staff. 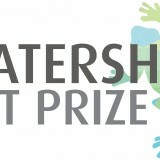 Record numbers of new students have signed up for ICE WaRM’s award-winning nested Master of Water Resources programme for the 2011 academic year. Among the new students is a significant group from Iraq. 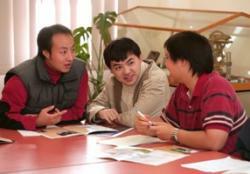 Most have completed extensive English language training before enrolling in the postgraduate programme. Students from the Netherlands, Germany and Scotland have signed up to join ICE WaRM’s multi award winning Master of Water Resources Programme from the start of Semester 1 in 2011, under the Australia-European Union SWaRM Exchange Scheme. The largest group from the Technical University of Delft will be joined by students from the Technical University of Dresden and Dundee University. A senior British academic recently visited Australia promoting the major EU-AU SWaRM exchange programme between ICE WaRM and European partner universities. 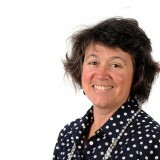 Dr Alison Reeves, Head of Geography at Dundee University in Scotland, is encouraging Australian-based students to take part in the European Union – Australia (EU-AU) Sustainable Water Resources Management (SWaRM) exchange programme. 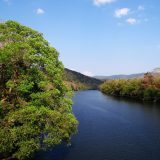 The University of the Sunshine Coast (USC) in Queensland will be teaching new courses into the ICE WaRM multi award winning Master of Water Resources Management programme from the start of 2011. USC has prepared materials and will deliver a new course on Climate Change, titled Developing Climate Change Adaptation Strategies in Water Management, as well as an additional subject in the Water Planning stream – Water Allocation and Planning. The annual review and refresh of ICE WaRM’s education and training is developing into a significant upgrade of the main programmes and their delivery by partner providers. Preparation for quality assurance and approval procedures are well in hand to ensure the new courses and programmes are delivered from early 2011. Eight students from the University of Dundee in Scotland are attending four of ICE WaRM’s Australian partner universities and already three students from the Technical University of Dresden in Germany are planning exchanges in Australia in Semester 1, 2011. Nineteen students from the University of Dundee in Scotland, the Technical University of Delft in The Netherlands and the Technical University of Dresden in Germany already have signed up for the exchange scheme. Another 26 places still are available. ICE WaRM has appointed Dr Le Van Minh as Partnership Support Adviser, based in Vietnam and covering the Mekong sub-region. This is the organisation’s second overseas-based team member, following the appointment of Risyana Sukarma in Indonesia in January. Dr Minh’s appointment is a further step in ICE WaRM’s continuing initiative to build and extend collaboration with its partners in the Mekong sub-region, encouraging more students, trainees and professionals to further their water-related studies. ICE WaRM has launched a series of initiatives to extend the agency’s networks across Indonesia. Partnership Support Adviser for Indonesia, Risyana Sukarma, recently attended the DEWATS Conference and Exhibition in Surabaya, exploring ways to meet the need for education and training in sustainable water management across the country. 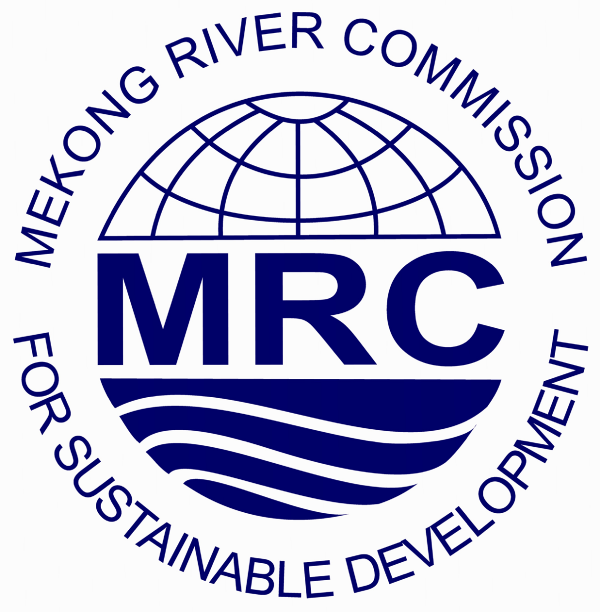 The Mekong River Commission (MRC), which is responsible for administering the river across four nations, is seeing the positive influence of many of the key management, planning and local training initiatives detailed in ICE WaRM’s acclaimed Professional Development Programmes (PDP). One of the European graduates who’s now undertaking five months of study in Australia as part of the scheme is Ber Albers (pictured left), a student of Water Resources Engineering at the Technical University of Delft (TU Delft). 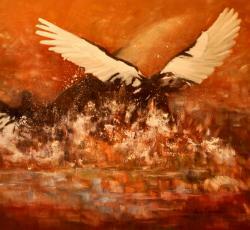 He’s continuing his studies at the University of Adelaide and has taken time to reflect on his time in this country. 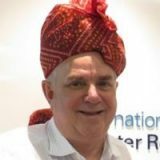 ICE WaRM’s International Partnerships Manager, Mike Seager, has returned from a recent parthership-building mission to South East Asia, confident that the Centre’s international programmes are making a substantial improvement to water resources management in the region. “It’s extremely encouraging to see the degree to which ICE WaRM’s projects and programmes have made an impact on the way emerging leaders and executive managers think about water and ways in which it should be managed,” he says. ICE WaRM hosted a high-level European Union delegation, focusing on exchange opportunities for students and researchers in Australia and Europe. The delegation, led by Bodo Richter – who manages cooperation projects with Australia at the European Commission (EC) – along with Richard Wade, Rachel McCarthy and Lynne Hunter, briefed senior representatives of Adelaide-based universities on opportunities for cooperation and exchanges with European educational institutions. 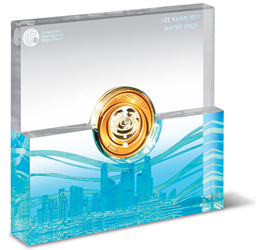 ICE WaRM long-term partner, the Yellow River Conservancy Commission (YRCC), has been awarded the prestigious Lee Kuan Yew Water Prize ahead of the 2010 Singapore International Water Week conference. ICE WaRM has appointed Risyana Sukarma as Partnership Support Consultant based in Indonesia, the organisation’s first overseas-based representative. The appointment, made in February, is one of the steps in ICE WaRM’s initiative to extend collaboration on water resources management with Indonesia, including encouraging more students, trainees and professionals to study water-related subjects in Australia. During his stay, Mike Bonell – Professor in Catchment Science at the UNESCO Centre for Water Law, Policy and Science in Dundee – focused particularly on the links between catchment research, water law and water policy. ICE WaRM’s partner institutions will be delivering the new Water Systems Modelling for Water Planners course to the nested Masters in Water Resources Management, as an elective under the Water Planning stream. The course it set for its first delivery in the second semester in July. 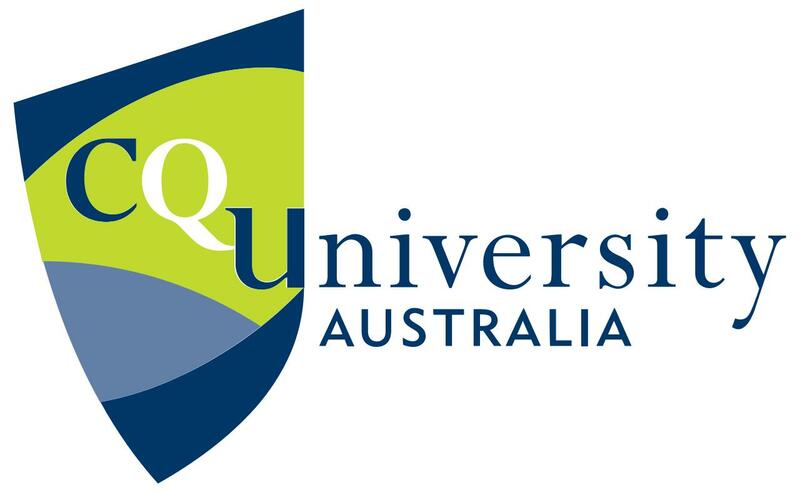 The course has been developed in association with the National Water Commission and is offered initially through the University of South Australia and CQUniversity, with support from specialists at the Australian National University. As with other electives, it is available to all students in the Programme, and is likely to have broad appeal. Brett Ibbotson, the first Australian student to be awarded an Australia-European Union exchange scholarships, has returned after five months studying at the Technische Universiteit in Delft (TU Delft) in the Netherlands. Thirty-year-old Brett, from Encounter Bay near Victor Harbour in South Australia, is studying ICE WaRM’s Master of Water Resources Management programme at the University of South Australia after gaining a Bachelor of Technology degree, majoring in aquaculture, from Flinders University. 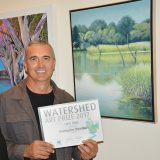 Renowned US facilitator Dr Allen Hard will be leading a three-day Master Class in workshop facilitation in Adelaide in March 2011. 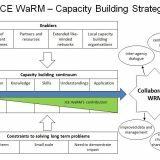 The ICE WaRM-supported Master Class, which is free to appropriate professionals, will focus on leadership and development through all phases of planning, designing and carrying out workshops. Applications for ICE WaRM’s international scholarships for the Master of Water Resources Management programme are open until the 26th February, 2010 for the July intake. ICE WaRM offers full and partial tuition scholarships for international students to study the programme at any of its five partner institutions – the University of Adelaide, the University of South Australia, Flinders University, Deakin University in Victoria and CQUniversity. Scholarships are offered twice each year – in February, for a Semester 2 start and in July, for a Semester 1 start. ICE WaRM is pleased to announce a new graduate student mobility project, funded through the Department of Education, Employment and Workplace Relations. This project provides a mechanism to share best practice between Australian and the European Union (EU) universities, and to improve global understanding of the importance of sustainable water resources management. 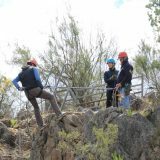 Applications are open for students wanting to take part in the ICE WaRM-managed European Union-Australian water resources management exchange programme. 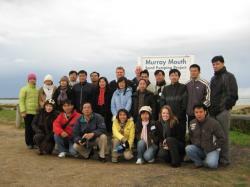 The scheme gives 90 students the opportunity to further their water-related studies overseas. 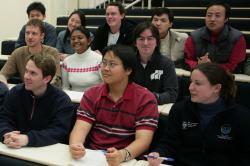 Up to 45 students from ICE WaRM’s partner educators – the University of Adelaide, CQUniversity, Flinders University of South Australia, Deakin University and the University of South Australia – can apply to study for five or ten months at one of three leading European universities – the University of Dundee in Scotland, the Delft University of Technology in The Netherlands and the Technical University of Dresden in Germany. 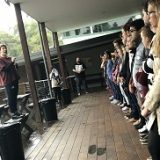 Now at the end of their university-based studies, having completed exams, the group is currently undertaking two-week industry placements ahead of a 10-day study tour of South Australia, the Snowy Mountains Hydro Scheme, the Murray-Darling Basin Authority, Sydney Water and the National Water Commission. ICE WaRM is taking on a leading support role for the Japan-based Institute for Global Environment Strategies (IGES), which carries out innovative strategic policy research to support sustainable development in the Asia-Pacific region. 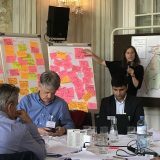 ICE WaRM will focus on providing expertise in freshwater and groundwater policies, complementing the existing team at IGES, and support in education and training programmes in groundwater. 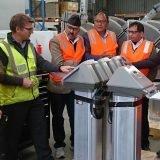 ICE WaRM’s reputation as an outstanding education and training organisation has been further enhanced after it was reconfirmed as a preferred provider to SA Water Corporation. The development means ICE WaRM is now pre-selected for SA Water staff training, education and professional development programmes. Brett Ibbotson has been named as the first Australian student to win one of ICE WaRM’s coveted European Union-Australian exchange scholarships. Thirty-year-old Brett, from Encounter Bay near Victor Harbour in South Australia, is studying ICE WaRM’s Master of Water Resources Management programme at the University of South Australia and will be spending five months at the University of Delft in The Netherlands. Scholarship applications for domestic students studying the Water Planning stream of ICE WaRM’s Graduate Diploma in Water Resources Management are open until October. Successful applicants for this scholarship round, offered by ICE WaRM in conjunction with the National Water Commission, will commence study in Semester One 2010. ICE WaRM is staying closely in touch with the continuing needs of its partners and stakeholders across the Asia Pacific region with a series of consultation visits. In the latest, Chief Executive Richard Hopkins and International Partnerships Manager Mike Seager spent 10 days meeting key partners in China and Indonesia. 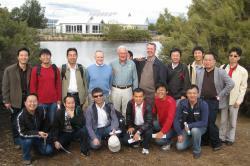 Fourteen international students have been offered full or partial scholarships to start ICE WaRM’s Master of Water Resources Management programme in Semester Two 2009. The students come from Eritrea, Iran, Nepal, Sri Lanka, Uganda, Vietnam and Canada. 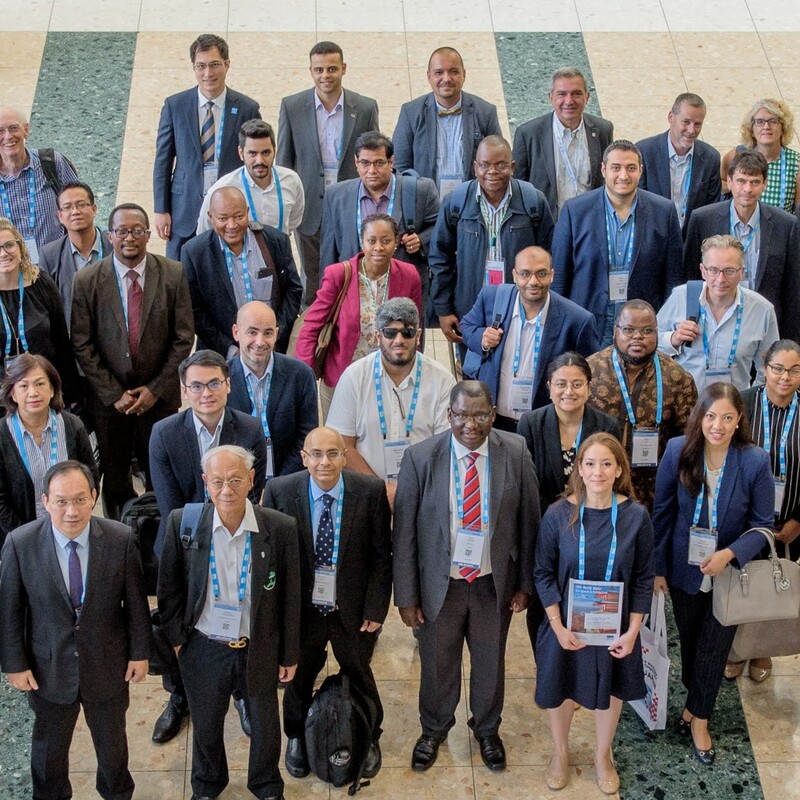 In February ICE WaRM Chief Executive Richard Hopkins was an invited contributor to the UNESCO Regional Water Education Workshop, held in Jakarta, Indonesia. 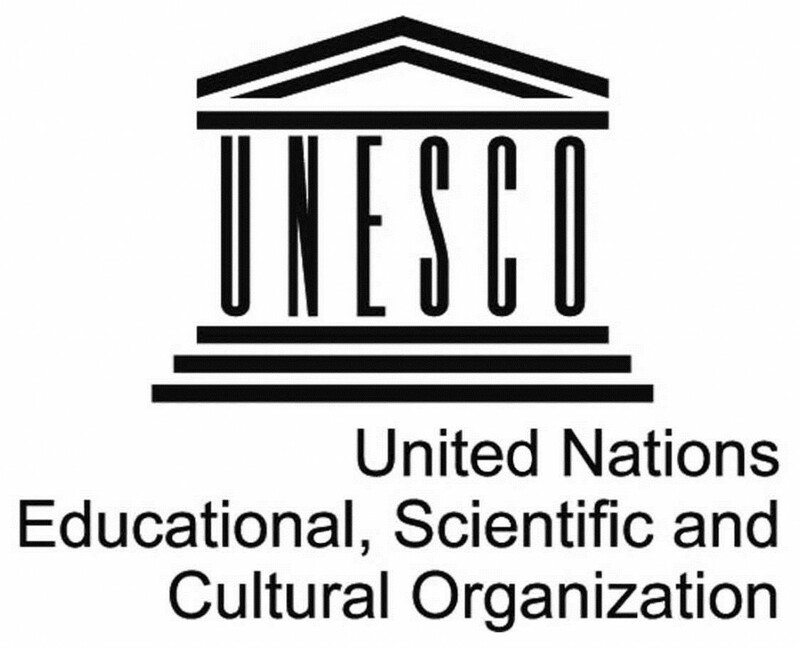 The regional event was hosted by UNESCO and the Indonesian Institute of Sciences (LIPI) with invited representatives from South Asia, South-East and East Asia and Australia. Ten selected case studies from across the region were presented to stimulate discussion of common challenges in water education and training. 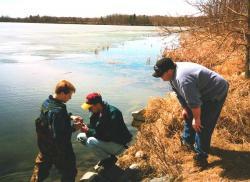 ICE WaRM offers full and partial tuition scholarships for international students to study the Master of Water Resources Management programme at any of its five partner institutions – the University of Adelaide, the University of South Australia, Flinders University, Deakin University in Victoria and CQUniversity. Scholarship applications for domestic students studying the Water Planning stream of ICE WaRM’s Graduate Diploma in Water Resources Management close on April 17. ICE WaRM Chief Executive Richard Hopkins and International Partnerships Manager Mike Seager were among 1300 delegates attending the OzWater 2009 conference in Melbourne in mid-March. 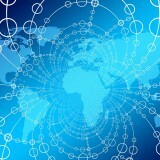 ICE WaRM is an active member of AWA, including national and international partnership activities. The three-day conference, hosted by the Australian Water Association (AWA), covered key issues facing the Australian and international water industries – including major national water reforms, the impact of climate change, technological advances and the skills shortage. This programme is now active, as the first student from the Netherlands commenced studies at the University of Adelaide this semester. Applications are now open for students wanting to take part in the exchange, starting in the second semester. The first five overseas students to be awarded ICE WaRM international scholarships have completed their year-long courses. The successful students are pictured here with Richard Hopkins (ICE WaRM CEO) at a celebratory BBQ at ICE WaRM’s headquarters in Adelaide. 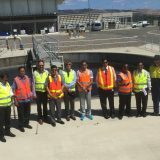 The students – two from China and one each from Sri Lanka, the Solomon Islands and Peru – have been studying ICE WaRM’s Master of Water Resources Management programme at the University of South Australia, Flinders University and the University of Adelaide. 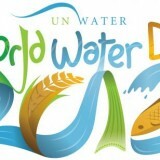 Water Down Under 2008 – one of the major international water conferences of the year – is being staged in Adelaide in April. ICE WaRM is a co-convenor and major sponsor of this event, to be held at the Adelaide Convention Centre 15-17th April, which is attracting presenters and participants from across the world.